Because every day you don’t feel like producing a five-star dining affair, today I am bringing you an easy, delicious and healthy dinner! You’re welcome. Before I get to the super simple recipe, let me tell you a story about why I love cracker crumbs (which is what you will be using for breading). When I was a baby and toddler, every time I would start to throw a tantrum, I would be given one of those little 2 packs of saltine crackers. I would mush them (in the packet) between my teeth and play with them for hours. There is something incredibly soothing about it. So, when I first decided to use cracker crumbs in a recipe, that soothing feeling came flooding back, and now I will never use regular bread crumbs again.PS- There is also a song they sang to shut me up with the crackers, but I will spare you that! Have you entered to win a month’s supply of Popchips yet? 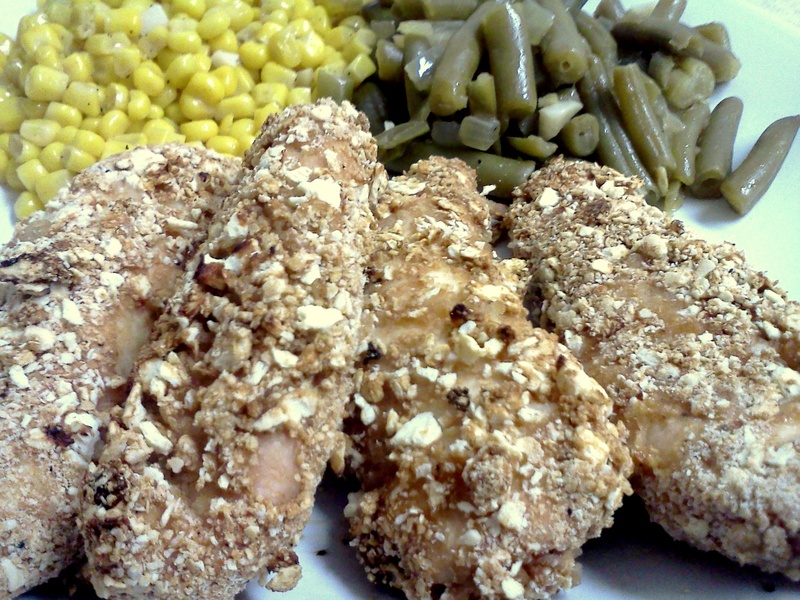 Place chicken on the prepared cookie sheet and bake in the oven for 25 minutes or until cooked through. Do not flip during cooking. 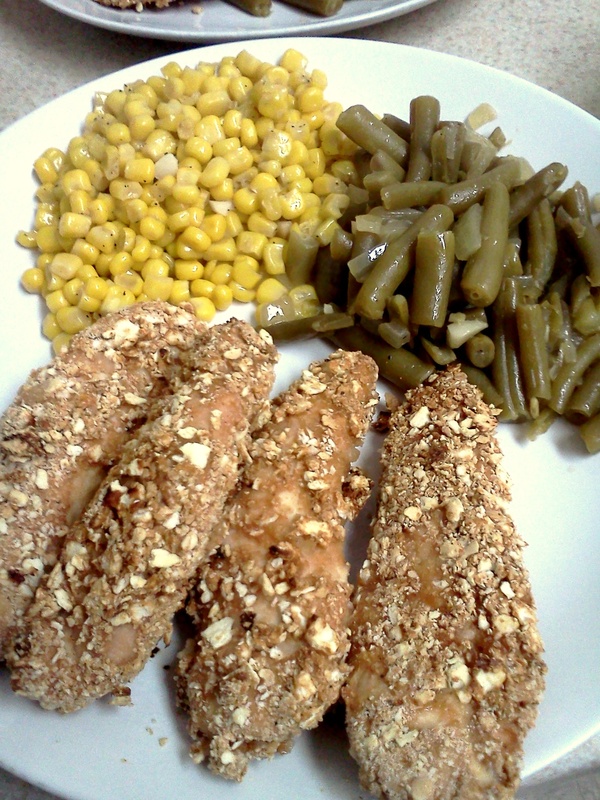 This entry was posted in Recipes, Reviews and tagged bar b que, BBQ, blog, boston, buffalo, chicken, cooking, dinner, easy dinner, family, green beans, Hot sauce, quick dinner, recipe, Sylvia's, tenders by reneeh. Bookmark the permalink. 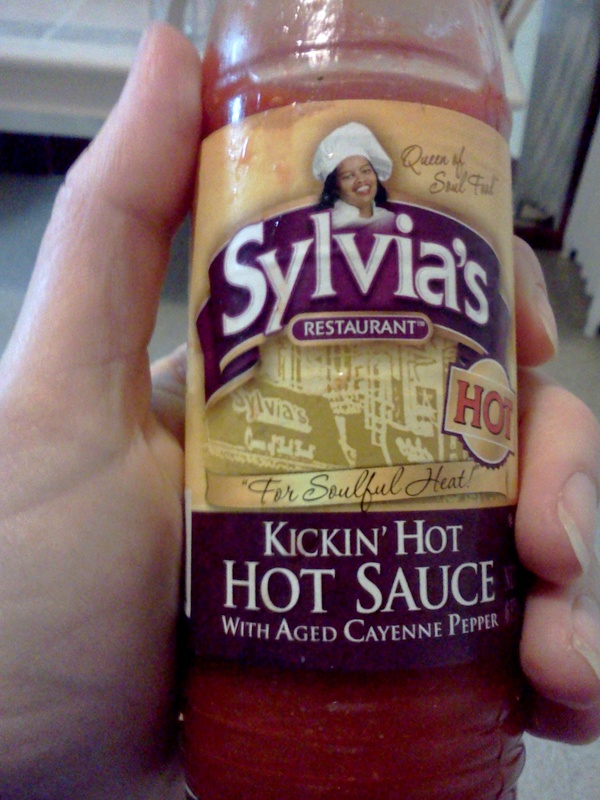 I love hot sauce so I’m definitely going to have to give Sylvia’s a try! You won’t be disappointed. It has such a great hot sauce flavor! I love easy dinner recipes like this. Haven’t used cracker crumbs as breading yet but I can imagine how awesome it tastes! I thank the heavens every day for Frank’s Red Hot. Yup, I admit it, I am a foodie and I LOVE Frank’s Red Hot!